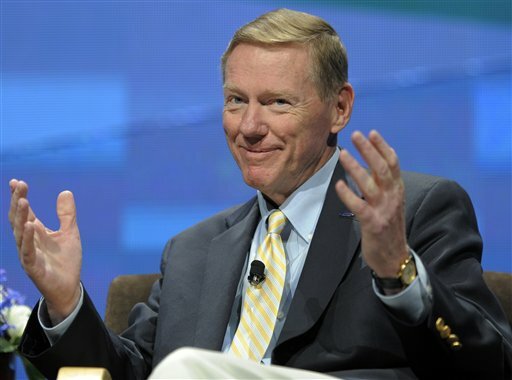 Ford Motor CEO Alan Mulally is one of the country’s top-earning top executives. Even though the Great Recession is abating a bit, we are by no means out of the woods. The unemployment rate still hovers at around 8.2 percent which translates to more than 12.9 million jobless workers. Wall Street may also be on the mend, financially speaking: Ordinary Americans may be out of work but the country’s top 100 CEOs continue to earn a mind numbing amount of money. Although overall pay for these top CEOs only rose 2 percent from 2010, the median salary earned was $14.4 million. And the combined compensation package for this elite group totaled $2.1 billion. These numbers only reflect chief executive officers in publically traded companies—it’s reported that top hedge fund managers collectively earned $14.4 billion last year! Just to put this all in perspective, the New York Times reports that the average annual American salary is $45,230. A worker with a bachelor’s degree can expect to earn $2.3 million in their lifetime. I’m not debating if these CEOs are worth the money. I’m not even going to raise the issue of ethics and social justice in regard to salaries of this magnitude. My argument is about public relations, corporate image and human sensitivity. I think that both aesthetically and prudentially these kinds of numbers are insulting, degrading and dismissive of the efforts of the rest of the work force. What these kinds of numbers suggest is that you may be part of the larger labor pool, 141.4 million workers, but we only care about, honor and outrageously pay the top 100 CEOs. If nothing else these figures in this economy are insensitive and unkind. Perhaps knowing about them could act as a competitive incentive for some of us, but I doubt it. To those of us who earn a tad less than $14.4 million a year, I think what it really does is to promote deep feelings of anger, envy and distrust.